One of the oldest people in the world, Jeanne Calment saw Van Gogh when she was 113 years old, she told him that he looked dirty, ugly, impolite, sick, and that he was dressed badly. In 1890, Anna Boch, a Belgian painter, was the first person to buy Van Gogh's painting "The Red Vineyard." This was the only painting he ever sold during his lifetime. When Van Gogh cut his left ear, he bandaged himself, wrapped his ear in a piece of paper and gave it to a prostitute for safekeeping. After the whole case being reported to the police, he was institutionalized. Van Gogh himself doesn't have any recollection of this event as he was diagnosed to have been in a state of delirium but a lot of mystery surrounds the severing of his ear. The last words that Van Gogh told his brother were "The sadness will last forever". 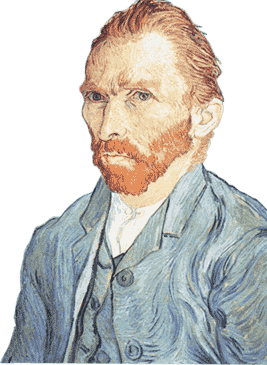 During his lifetime, Van Gogh created near 900 paintings and 1,100 sketches and drawings. These 900 paintings were created in a period of only 10 years. Van Gogh painted over 30 self-portraits from different periods of his life. 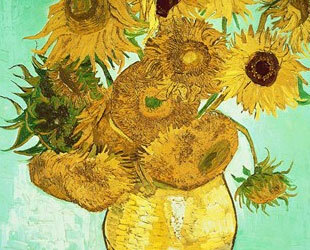 There are a lot of collections and paintings by Vincent Van Gogh that are famous and considered to be art masterpieces. The collections of Van Gogh are distinguished by series and periods directly related to specific feelings and time periods in Van Gogh's life. The series of paintings and drawings that were repeated throughout his lifetime is his portraits series. Van Gogh loved to paint his friends, neighbors and acquaintances. In later years, long after Van Gogh had passed, aware his portraits were often the most expensive paintings auctioned. Another famous paintings that many succeeding artists use as a source of inspiration is "The Starry Night" that was painted by viewing the night from the window of an asylum. This impressionistic painting with swirling stars in the night sky was something that was later regarded as one of the finest works by Van Gogh. The painting itself represented the peace and turmoil with which the people in that countryside lived. 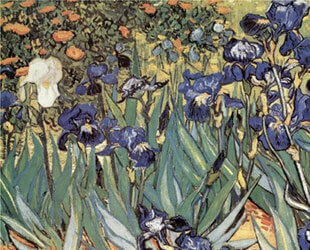 The paintings that Van Gogh created covered a large number of different subjects. His architecture series shows some historic buildings in his life. Including paintings of simple houses and mills to the representation of his Yellow house in Arles, Van Gogh's architectural art displays important structures in his life. 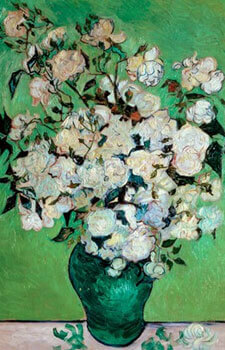 The Almond Blossom series also represents a very important time during the life of Van Gogh. 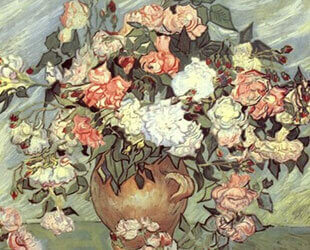 Painted in Saint Remy while Van Gogh was in a asylum, the blossoming flowers represent hope and awakening. The image style itself was influenced by the Japanese ukiyo-e woodcut paintings and includes Divisionism and Impressionism styles.